We offer a broad range of flexible classroom, online, self-paced and on-site courses. We recognise that it may not be suitable for all students to attend the classes, so we provide a hybrid learning experience where students can join the training sessions from the comfort of their homes or office. Students simply log into instructor-led virtual classrooms and connect to the state of the art labs and become part of the classroom experience led by subject matter expert trainers. To get a preview of the quality of our subject matter expert teaching and to assess the overall learning experience, you are welcome to request or attend either a demo class or a real training session. By doing so, you can be confident that you are in fact enrolling with the right training provider. Please note that in most cases, we have comprehensive class Demos which give you partial access to the courses and will give you an excellent idea of how the training is presented. Moreover, we also provide access to our expert trainers previous class videos, which can help you to understand our unique way of delivery. Sure, our professional training staff are here to help you. With our course advisors assistance, you will be able to assess which course is most suitable for your needs and requirements. An initial meeting will be organised to make sure you start off on the right track. With years of experience, our course advisors are professionally trained to guide you to the most optimum career path. You can also go through to our “offer tab” which shows the different offers and market trends along with reasonable salary expectations. What sort of class time do you offer for certification course? Our job-focused, hands-on certification and boot camp courses are designed with flexible class timings. We understand that we all have complicated work and social schedules. To cater for the needs of students of all types, we offer Weekend and evening courses apart from individual study groups. How do I know you have qualified and experienced training faculty? unmatched insight and makes the training ever so rewarding and fruitful. Also, every Trainer/IT professional has nowadays LinkedIn profile which is enough to verify his work experience. What does a typical course structure look like? Classes are typically structured, to begin with, the introduction of the technology or prerequisites for that sector. Our trainers put extra emphasis on practical aspects of the implementation of a given technology. Each lesson has the perfect combination of theory and practice to maximise student’s chances of grasping the technology. All our delegates have access to their lab during and after the class sessions. They also have access to the labs for the duration of the course which can be extended up to 7 days’ after the class finishes. We always encourage our students to practice after class hours, in their own time. Any student who enrols on the certification courses is given our challenging practical exams before they move on to attempt the actual certification exam. How does Fortray differ from other training providers? We are the only training institute where all the trainers have over 15+ years of real-world industry experience. All our trainers are currently working in the Network and Security Industry with years of experience. Our students get unmatched real-world practical advice from experienced subject matter expert trainers. The dynamism of our training, enthusiasm and passion of our trainers, provides students with the competitive advantage that will make a difference in their careers. We focus on getting students not only to learn and understand the theory but to have practical experience on real equipment so that they can demonstrate the acquired skills in the job interview and later in the job. Our students enjoy lab access for seven days a week, which helps transform them into world-class professionals. Our Learn Today, Apply Tomorrow methodology ensures our students gain knowledge in the classroom and use it immediately in the real world. You will have access to the courses for a full six months unless stated otherwise. You can also use the classes as a source of reference after completing your studies. Are the courses you deliver hands-on instructor-led classes? All the courses we provide are practical hands-on instructor-led sessions. The options are physically attending the classroom or accessing the class virtually via the internet. In either case, our students can interact fully with the instructor, access the hardware and utilise the quality manuals and lab workbooks. You choose your preferred delivery method. We have a No Sharing policy at Fortray and ensure that there is enough gear for each student to embrace the technologies they are learning thoroughly. Students can log into their devices outside of the classroom to continue their learning experience. We are proud of the continuous investment we make in refreshing our hardware. All our devices are officially licensed Next-Generation Firewalls/Routers/Switches, and this allows students to benefit from the full spectrum of features/specifications available on these devices. Below is a partial list of our growing next-generation firewall lab specifications. For a complete list of hardware, please go to Resources. Students can repeat the course they purchased as many times as they like. There are some conditions attached to this offer. Unlike other training companies that ask you to pay up-front for your studies or take out finance, we appreciate that not everyone can or wants to. Therefore, we offer flexible and tailored payment plans depending on the course you wish to study. We have a variety of offers and packages available. This service is available If you have purchased it during the sign-up. If not then we are always happy to help, do call or email us. We understand that hiring managers have a short time to look at resumes. Your hands-on experience, certification and the underlying knowledge is essential when your CV is being reviewed. It is vital that your CV sell the skills you have acquired while studying at Fortray. Our seasoned contractors will share their successful tips and tricks. They will also assist you in preparing for technical pre-interview tests along with interview advice, techniques, and rehearsals. Are Exams included in the course price? Exams are not included. In some packages, we have exam covered as well. We are also an exam centre and sometimes offer a discount to our students. Speak to your trainer/ mentor; they will provide you with honest feedback regarding your readiness. Moreover, you can book your exams when you are consistently achieving over 90% on the exam simulators. Exam prices vary according to the vendor and level of exam. Your Course Advisor will help you with exam pricing specific to the courses you are interested in studying. Moreover, browse through to our courses/packages, and you will be able to find the cost of each exam via the link. Professional achievements. These credentials enhance job and promotional opportunities, as some employers require accreditation as a condition of employment or for specific positions or career advancement. Are the Certifications Recognized Qualifications? Check out our current vacancies, apply directly on our site or on other job-related websites, where you advertise regularly. Just fill out our form below and upload your CV. Still, can’t find what you want? Then email us. We’ll email you when proper roles come up. We understand the importance of excellent communication; we try to keep in contact with you at each stage. However, it may not be possible when we have an overwhelming response for any role. If you meet the necessary criteria for the vacancy, we will then send you another email letting you know that we’ve passed your details to the client. If you’re unsuccessful, we will email, and if you have any questions, you are welcome to contact us to discuss your application. Will I get feedback regarding my application? Certainly. If your application is unsuitable, you can contact our Team who will give you feedback and discuss why your job application wasn’t successful. If you have not found the information you need, please contact our Team via email, who will be happy to assist with your queries. I have already applied via your agency, but another agent also contacted me. What shall I do? Just, brief them that you have already applied for the same role and waiting for a reply if a client finds that a candidate came from two different agencies they will reject your application. Will you provide interview assistance? Yes, our team will always email or phone you before the interview and will be providing details of what to expect during an interview? Who are you meeting? Do I need to provide feedback about each interview? Yes, we always encourage our candidates to email or call us after the interview so that we can go back to the client and get an update. I believe I had a good interview, but I was not lucky. What shall I do? Contact one of our team members, and we are always pleased to discuss the feedback provided by the client. Moreover, we also have services that will enhance your employability. Do I need to apply for a permanent or contract role? For a newly qualified IT professional, we advise being flexible, regarding distance, role etc. However, permanent means job security, pension, paid annual leave, Medical private insurance and other benefits. The contract roles are not long-term but tend to offer higher daily rates. Looking to switch to Contract or Permanent role why not speak to our team or look for other services we offer. My contract is ending in a few months’ time when will I be notified about an extension? As soon we have information from our client, we will revert to you. Most of our prestige clients notify us 4 to 6 weeks ahead. My current employer told me that my current contract would not be extended, will you help me to find another suitable role? Yes, 9 out of 10 times we help our candidates to find a suitable role. Yes, we have a CV Detox service where our professional team will be able to help you make it impressive and noticeable in front of prospective employers. I have an interview in next 24 – 48 hours, but I do not feel confident in few topics? What shall I do? Yes, look out for our Job prep services where many of our Real-world Industry expert professionals are happy to help. Can you suggest top UK web site for IT jobs? There are many IT jobs sites. Most recruitment companies advertise same jobs on multiple sites. But few best sites are below. Get register yourself. I have completed certification but no work experience, can I apply for a job? There are numerous opportunities at companies for new starters. These are junior roles, and one can start without any previous work experience. However, at Fortray we have some IT training packages that allow students to gain experience along with training. For more details speak to our admin team. How can I get work experience with the firm? You should contact the work experience team through the recruitment inbox to see what opportunities are currently available. You can also look at company websites and look for advertised positions. Can I work with Fortray during my Training? 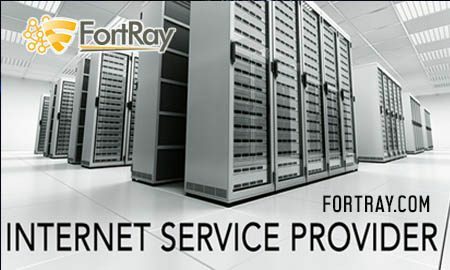 Fortray provides training, solution and recruitment services, at certain times we have lots of IT Networking and security projects going on and most of the time we need some freshers to work along with our experienced team of engineers. Our unique training portfolio ensures that students get work experience during their training. Also, to get the most out of your time with us, we have prepared a selection of workshops that will introduce you to some practical examples of technical work first-hand. We don’t believe that shadowing other people is necessarily the best way to help you learn, so we have prepared specific projects to keep you as busy and engaged as possible. Will work experience help me with future applications? Our work experience programmes are designed to help students who are curious about a career in Network, Security and Cloud and want to learn more about how to work as a Security Engineer. We will provide opportunities that will give you an insight into a career in network security and give you a head start on other future networking hopefuls. Applicants may apply to join one of our internship programmes online via our home page at www.fortray.com. Our initial application process is designed to assess the background and characteristics of each candidate’s suitability. After the initial application process, there will be a follow-up phone interview with our recruitment advisors and an interview. Develop new technical and soft skills. Apply knowledge gained from training to on-the-job situations. Is there redundancy built into SOC support? Fortray’s SOC analysts maintain the ability to remotely monitor, evaluate and respond to security events within our client’s environments. Our SOOC was built with redundancy in mind and is available 365 days a year 24/7. Does Fortray have a managed/monitored firewall service? Who is responsible for resolving identified security issues? Depending upon the packages and agreed on SLAs, Fortray will ensure it does it best to remediate issues that have been identified promptly. If the required actions were preapproved, already with the customer. We would proceed to execute. However, if remediation falls outside the preapproved actions list, we will first seek approval from the customer before leveraging SOC system administrators or other Fortray support teams to the execute the remediation plan. What monitoring and notification procedures will be in place for this service? Depending upon the packages and agreed on SLAs, the Monitoring and notification procedures will be defined in the service-level agreements (SLAs) executed during the onboarding process. How is data gathered in the SOC? How will I be notified when an issue is identified, and how quickly? Notification logistics will be outlined in service-level agreements (SLAs) during, and notifications will occur within 30 minutes of event identification. How do you provide metrics, such as information about threats that have been blocked? This information is incorporated into our incident reports sent weekly and monthly.